Represented the Royal Bank of Scotland in originating two portfolio mortgage loans and related mezzanine financings involving dozens of single asset commercial and retail properties located throughout the United States, which originations were specifically tailored to be sold in a securitization involving the sale of over $300 million in pass-through certificates. This securitization was the first multi-borrower securitization closed in the United States since the 2007 economic melt-down. Represented The Port Authority of New York and New Jersey, in connection with the restructuring of various entities and agreements related to the financing and development of the World Trade Center Project, including creating various pledge agreements and ancillary documentation, associated with enhancing the security for certain agreements entered into by the Port Authority with the developer of this project. 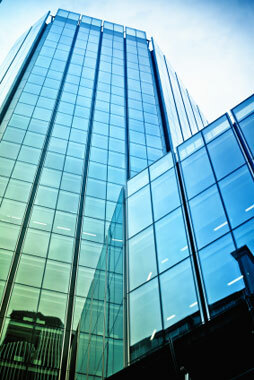 Served as lender’s counsel in connection with the construction financing of the Arch Street Tower in Boston. Served as counsel for Bank of America, Key Bank, and General Electric Pension Fund in originating commercial real estate mortgage loans. Served as transaction counsel in closing a major credit tenant financing of a condominium industrial facility in New Jersey being leased by the New Jersey Transit Corporation. Because the facility was part of a condominium regime, the condominium master deed and by-laws had to be restructured. Due to peculiarities in the credit tenant lease, a new master lease structure also had to be created and put in place. The financing qualified for Schedule D reporting and for a NAIC-1 rating from the National Association of Insurance Commissioners, resulting in the most favorable regulatory capital treatment for the lender. Served as lender’s counsel for Morgan Keegan and Bostionia in connection with multiple credit tenant financings throughout the U.S. Represented several funds organized and managed by Rubicon Asset Management and Greenwich Group International involving (i) in the case of one fund, real estate mezzanine financings which provide incremental loan proceeds to senior mortgage loans being offered by major US investment banks; and (ii) in the case of the other fund, the acquisition of real estate and joint venture interests in major commercial product projects and the formation of a REIT to act as the fund’s interface with the ownership of these assets. Represented a mezzanine fund in connection with an approximately $65 million mezzanine participation interest that was part of a total debt stack of $26.4 billion in connection with Blackstone’s acquisition of Equity Office Portfolio. Represented a mezzanine fund in a mezzanine financing which was part of a $1.8 billion capital stack involving the acquisition of 137 office buildings located in Atlanta, Houston, Orlando and Charlotte. In connection with this closing, negotiated separate intercreditor agreement and participation agreement with the sub-participant in the mezzanine financing. Represented a lender in origination of a $42 million mezzanine construction loan which was part of a total debt stack of $230 million used in connection with the development of a residential condominium building in New York City. Served as lender’s counsel in connection with a $40 million construction financing and $21 million of senior and junior financing to Ridge Crest Wind Partners, LLC (an affiliate of Cinergy Corp.) involving the development of 33 wind turbines and related equipment and transmission lines in Peetz Table, Colorado. Served as counsel for ABB Energy Capital in originating alternative energy loans. Served as counsel for American Eagle, which is actively acquiring interests in military housing projects involving the U.S. Army, Navy and Air Force in a housing initiative that involves rehabilitation of existing housing and construction of new housing, as well as financing of these products through rated bonds in the capital markets. Served as Vice President of Legal Affairs for Cabot, Cabot and Forbes.